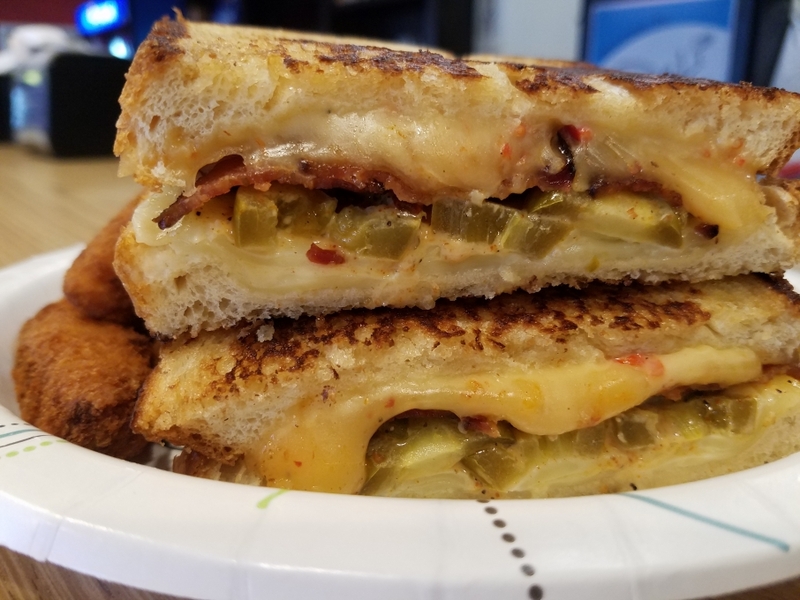 Reopen Tuesday, February 19th for normal business hours 11:00 a.m. to 3:00 p.m.
Our special today is the spicy grilled cheese. We have our grilled sour dough bread with Peppadew Cheddar, Pepper-Jack and Chipolte Jack cheeses with bacon, jalapenos and a spicy ranch dressing served with a side of fiesta tots for the smoking hot deal of $8.75. This week’s feature is the Steak Fajita Sub. We have fajita marinated steak tenderloin with red, yellow, orange and banana peppers, onions, lettuce, tomatoes and White Cheddar Cheese on our sub bun served with fajita seasoned fries for only $9.50. Our soups are the Chicken Tortilla, Chophouse Potato, Roasted Poblano Peppers and Cheese with our in house trio of Chili, Chicken Noodle and Lobster Bisque.